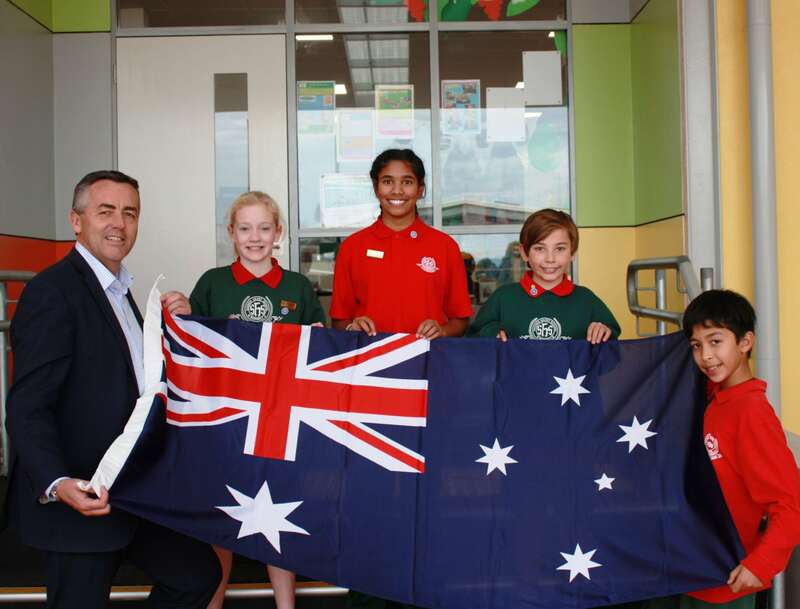 The Nationals Member for Gippsland Darren Chester is pictured with Sacred Heart Primary School leaders Phoebe Briggs, Sachini Karunamuni, Jordyn Bernardone, and Orlando Nania in front of the refurbished area. Classroom upgrades at Sacred Heart Primary School in Morwell worth $1.5 million will be officially opened today. The Nationals Member for Gippsland Darren Chester said the Federal Government had contributed $400,000 to the new facilities. “The early years are a significant part of a student’s education and it is important our students have modern facilities,” Mr Chester said. “Classrooms that were built in the 1960s now look like new classrooms, with a modern open learning floorplan. “The school has cleverly reworked separate buildings and linked them with internal corridors to significantly improve the facilities for teachers, staff and students. The school upgrade includes the construction of disabled access ramps, an external stairwell and lift and replacing the roof over the main learning area. The project has been jointly funded by the Commonwealth Capital Grants Program, Catholic Diocese of Sale Catholic Education Fund and through the school’s own resources. “The school community has been working hard to raise the money needed to get this work finished,” Mr Rooney said. “Some of the work is essential to ensure access within the school for people with mobility issues, while the ageing roof had reached the end of its life and needed to be renewed.